Check out all the new Marvel Legends Avengers Age of Ultron images after the jump. It's quite the odd mix of characters for the wave. 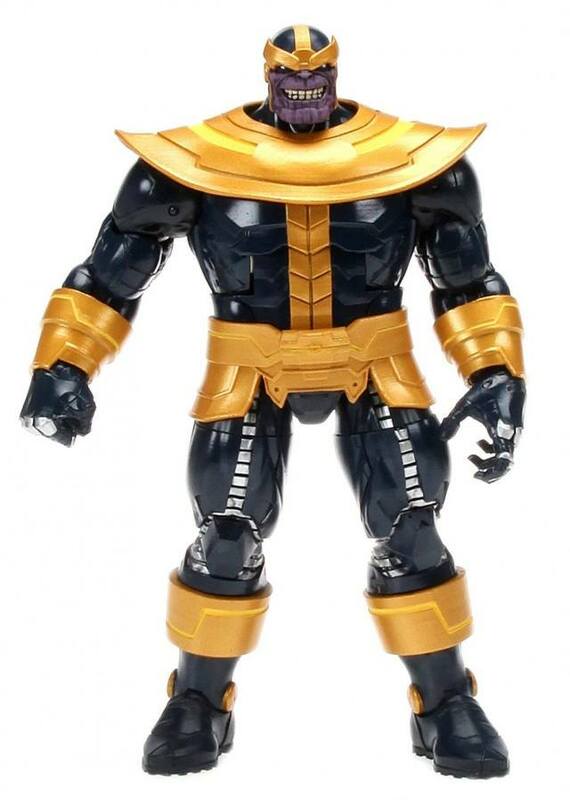 Thanos looks nice and Hulk (other than the odd hand joints) doesn't look too bad either. Iron man I'm happy about that colour scheme also im seeing an opened face plate which is what i love about it. Captain america caught my eye likeing the costume. This is what a Marvel Legends wave should look like. I'll happily buy a case. It's honestly a pretty good wave, but my initial reaction is just anger. I'll be able to have a Hellcat when Avengers: Age of Ultron reaches theaters, but not an Ultron. The only movie figures are repaints of Captain America and Iron Man, and a retooled Hulk(new head, fists, and shorts). Why would I want the title character? 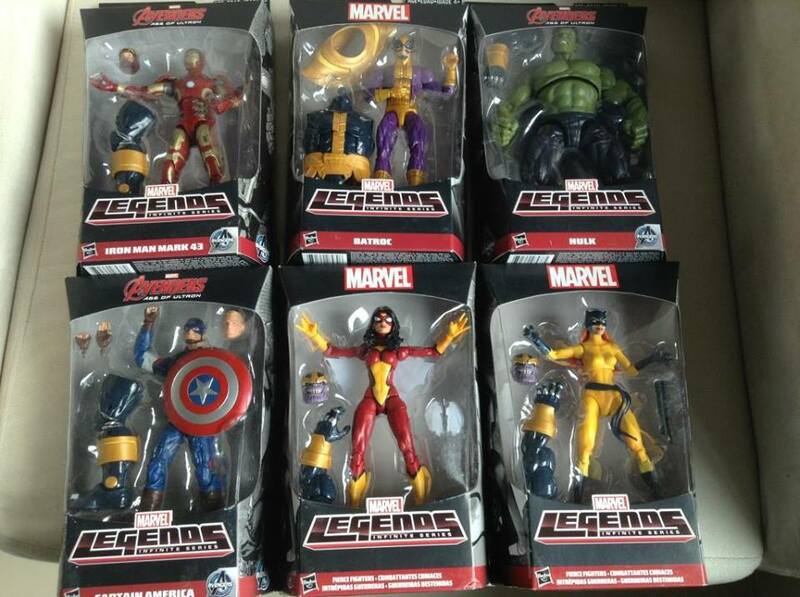 When the first billion dollar Avengers movie came out, they had a very nice set of impossible to find Walmart exclusive Legends. For the second movie, they won't even dedicate a wave. Maybe more characters will see release in a later wave, but the relevant action figures should be coming out at movie time, not sixth months later. And given Hasbro's track record with movie characters, particularly villains, I'm not optimistic. Disappointing. Almost every figure are straight up repaints. Iron Man, Cap especially. WHere are the movie head sculpts? Another cash grab by Hasbro with MINIMAL effort. People cannot be happy with this. This is another cheap cop out by Hasbro. No sculpting has been done. I'm down for Hellcat, but dang it ugh trying to get out of collecting ML. Oh well she's a unique character so why not. Is that Hulk mold the same as the Walmart exclusive one from 2 years ago? The only re-used parts I see on the hulk are the arms and the legs from the shins down. 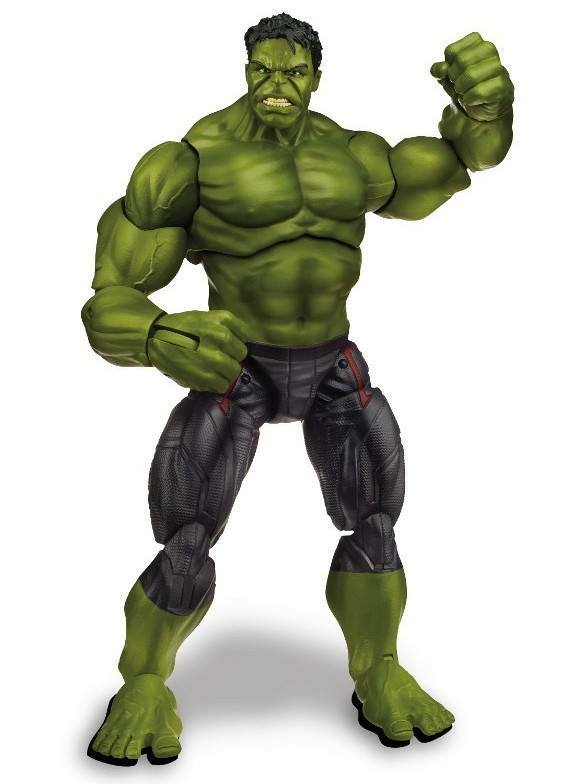 compared to the Avengers first movie hulk the torso, hips, upper legs and head sculpts are all new. The face looks better this time and the head is less of a "pin head" look. The iron man mk 43 is a re-paint, even in the movie it is a re-paint. the mk 42 was a prototype and it makes sense the design would be similar if not the same, only fully functional. Also, this one comes with an alternate unmasked helmet with tony stark's head, I like it. Worthy of note, the descriptions in the lego sets mention mark 45. Assuming that the hulkbuster is mk 44 we should see yet another iron man suit that has never been on display. 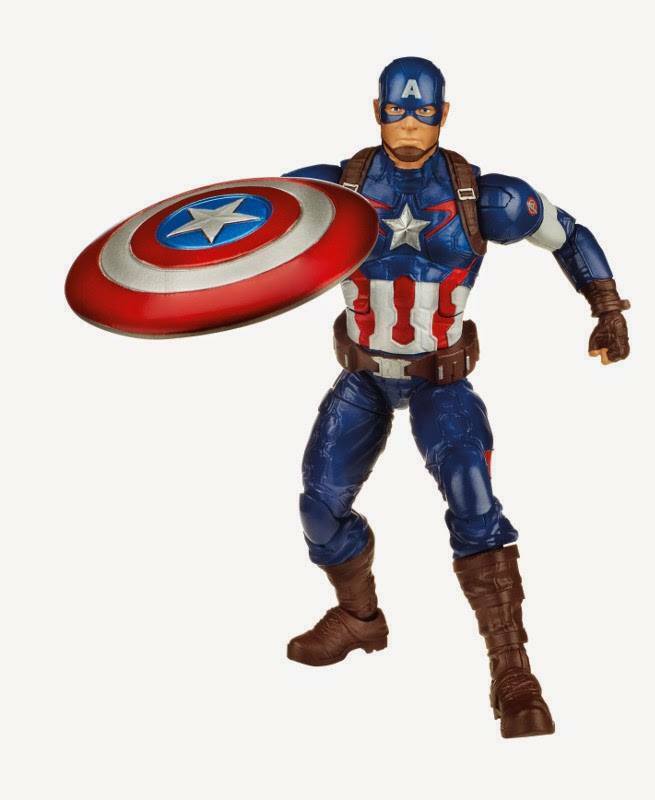 The Cap is not an re-paint either, at least in the torso and legs, maybe arms. I hoped they would do a better chris evans likeness but nope. The thor should be new all around. I hope they do get to Hawkeye and Black Widow, even if her outfit is not that different it would be awesome if she came with the big rifles seen in the trailer. Of course, I wish they would just do an entire avengers AOU line, we would buy it, kids would buy it. The way those sold out last time I have no doubt. I know we are getting Ultron but not sure about scarlet witch or quicksilver, better yet... I really want Vision. I am really excited by the Agents of shield 3 pack but scared I won't get to it since it is exclusive. Probably will pick these up because I've been really wanting a movie version of Thanos and that Hulk well I actually like him. Wonder when we will see the ML figures that is suppose to have Agent Coulson and Maria Hill. Thanos is based on the comics, not the movies. Coulson and Hill are in a Toys r Us exclusive 3-pack with Nick Fury. Where is the Valkyrie we saw during SDCC 2014 coverage? Other than that, this entire wave is an automatic pick-up for me. I just wished they could have given us a different Iron man, I predict it will be a pegwarmer. I really don't understand this set of figures at all. This is supposed to be the Age of Ultron line?... Really? They couldn't have given us any of the four new characters? If not Quicksilver, Scarlet Witch, or Vision, they should have at least done the title character, Ultron. Iron Man has an unmasked head. I'm playing the devil's advocate here, and I'm sorry about that, but perhaps the reason Hasbro didn't give us an Ultron figure for this wave was because they already gave us one...with the Iron Man 3 line. Not sure about you, but those Ultron's peg warmed for a while at my local Target stores...Hasbro probably didn't feel the need to put another one out there. 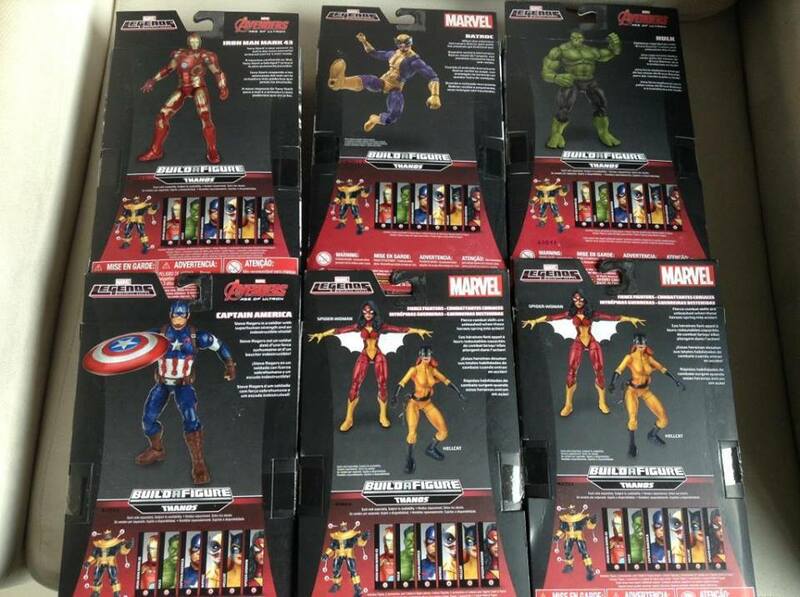 I'll be picking up the Cap most likely, and definitely the Hulk, as I missed out on him the first time. 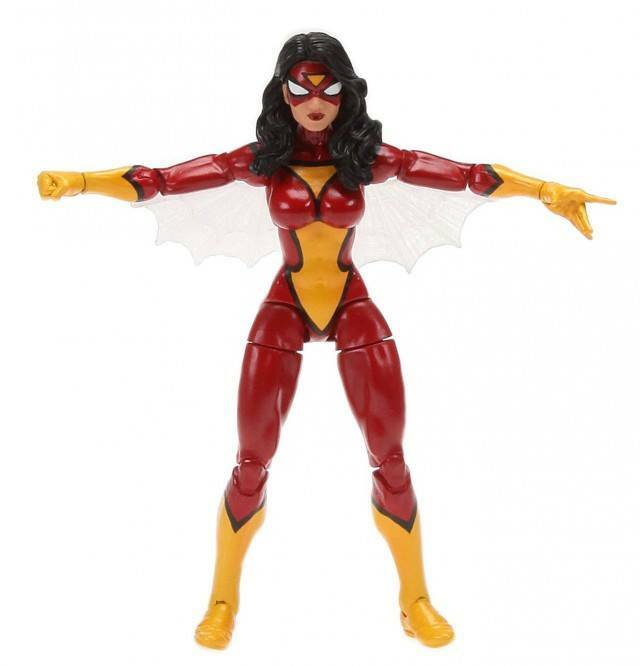 Pretty interesting that Hasbro will be putting out two versions of Spider Woman, and while I'm personally excited for USW, I'm sure many fans will be happy that the 616 SW will feature her classic costume, and not that awful one she's been running round with lately. It almost seems like they would have to be planing a new Avengers wave for late in the year that would include Hawkeye, Witch, Quicksilver, Widow (easy repaint) and a BAF of Movie Ultron with a couple comic characters tossed in. Toyfare is coming and I expect to see at least half of the stuff planned for ML there. I have accepted that we will NEVER get a ML version of the hulkbuster again and am really hoping that Marvel Select is going to reveal one at Toyfare. I mean they have listed that there will be MS figures of Hulk, Widow, and Thor (repaint of Dark World version) already but I expect a Iron man mk 43 (repaint of mk 42, Most likely a Disney store exclusive) so I have some hope they might be able to pull off a Hulkbuster. I think Ultron, specifically a movie version, would have worked now because his inclusion would be very relevant. Folks would see him on screen and go, "Ahhh So that's what an Ultron is!" and maybe want to pick up a figure of him or a dozen of his cool looking drones. Same for a Hulkbuster BAF or deluxe $40 version. Just striking while the iron is hot and meeting demand. Unless the design kept changing for Ultron and Hasbro couldn't sculpt an accurate one up in time. Even in the trailer there seems to be 2 or 3 versions of Ultron plus the Drones, so I am guessing the final look was not ready in time to make a figure. I mean remember the "Reveal" in Entertainment Weekly and the mag cover?? Ultron looks nothing like that cover. Here's an idea...a 3 pack with Ultron and 2 of his specialized drones like we're seeing in the 2.5 in packs. I'd bite on that one.